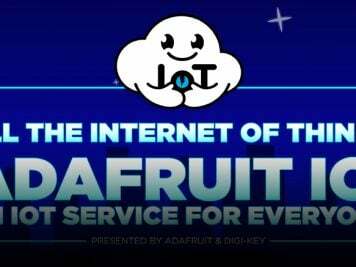 #3DPrinted Noah’s Arc Consists of 100,000 Pieces #3DxArt #ArtTuesday « Adafruit Industries – Makers, hackers, artists, designers and engineers! …The world is facing problems with climate change on the one hand, and machines taking over jobs from humans on the other hand. Taiwanese artist Hung-Chih Peng uses his art to express his feelings towards these issues. As part of his project The Deluge – Noah’s Ark, he 3D printed a 2 meter large twisted version of Noah’s Arc (image below) in order to depict our inability to successfully stop climate change; art with a message. 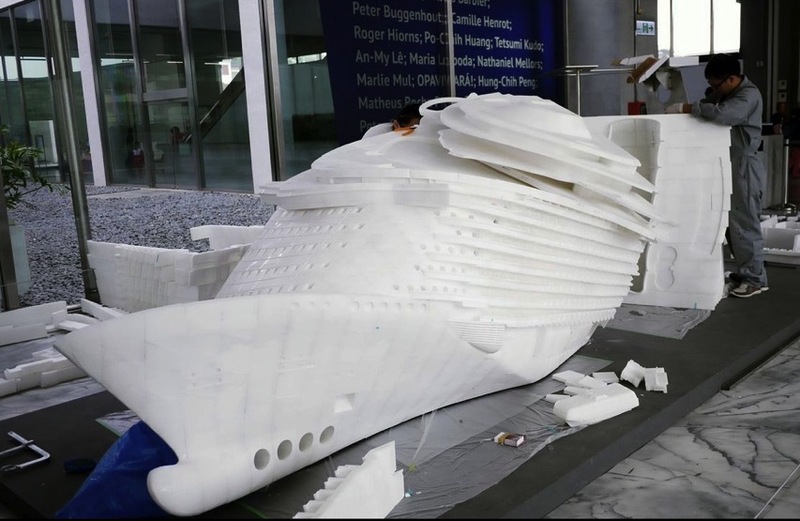 However, what he is currently working on is even more spectacular in terms of 3D printing technology: Peng is now 3D printing an 8 meter (26 foot) long model of the same boat, consisting of as many as 100,000 separate 3D printed parts. 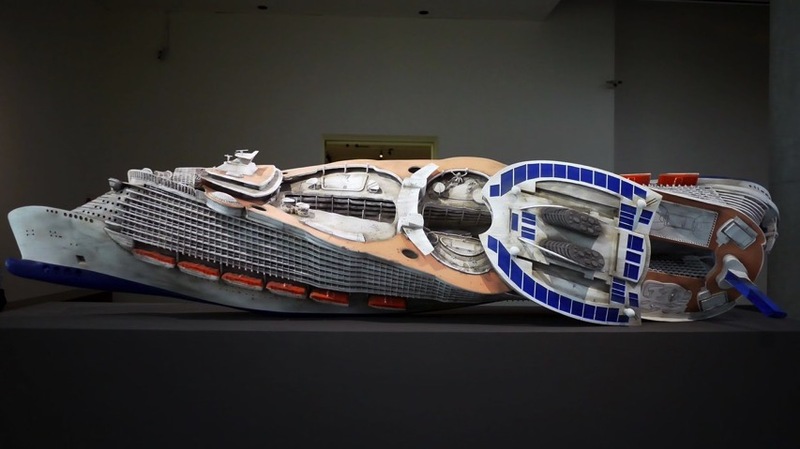 …His 2 meter boat also relates to the so-called Mechanocene period, a period when machinery starts taking over some of the jobs of humans. The Mechanocene period follows after the Anthropocene period, which is a period when the work of humans was the sole way of labor. The boat can be seen at the Tapei Fine Arts Museum….